One of the most confusing topics in audio is figuring out what size amplifier your speakers need. Usually, people make such a decision based on simplistic and sometimes meaningless speaker and amplifier output specifications. Many tend to follow misconceptions about how amps and speakers work. Speaker power handling specifications are usually meaningless. Typically, you just see a "maximum power" rating with no explanation as to how the spec was derived. Is it the maximum continuous level? Average level? Peak level? And for how long does it sustain, and with what type of material? These are also important questions. 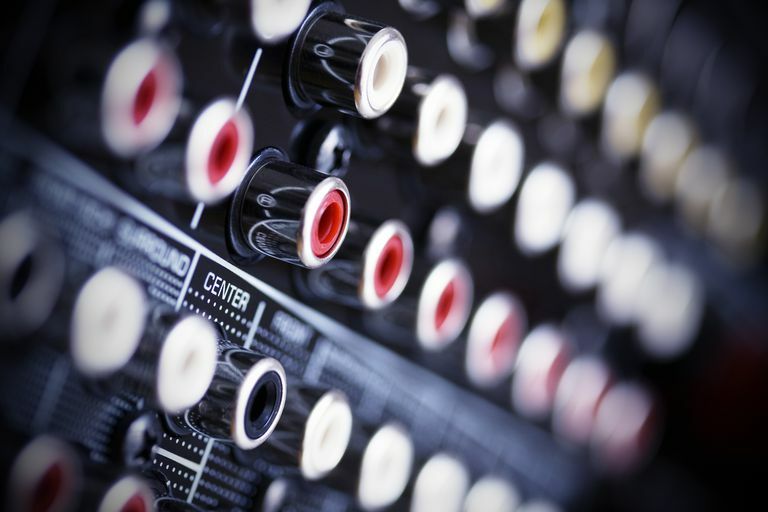 Different authorities released several, conflicting standards for measuring speaker power handling, published by the Audio Engineering Society, the Electronics Industries Association, and the International Electrotechnical Commission. It's no wonder that the average person often ends up confused! On top of that, most of the manufacturers don't actually follow these standards; they simply make an educated guess. Often, this decision is based on the power handling of the subwoofer. (Power handling specifications on raw speaker drivers, such as woofers and tweeters, are more standardized and meaningful than specs for complete speakers.) Sometimes a speaker power handling spec is based on marketing. You may even see a manufacturer give a more expensive speaker a higher power handling rating versus a lower-priced speaker, even though they both use the same woofer. In most situations, a 200-watt amp puts out exactly the same power as a 10-watt amp, because most listening occurs at average levels, where less than 1 watt is enough power for speakers. Into a given speaker load at a given volume setting, all amplifiers deliver exactly the same amount of power — as long as they're capable of delivering that much power. So it's really the volume setting that matters, not the amplifier power. If you never crank up your system to the level where the volume is uncomfortable, your amp may never actually put out more than 10 or 20 watts. Thus, you can safely connect a 1,000-watt amplifier into a little 2-inch speaker. Just don't turn the volume up beyond what the speaker can handle. What you shouldn't do is plug a low-powered amp — say, a 10- or 20-watt model — into a typical speaker and turn the volume very loud. The low-powered amp may clip (distort), and amplifier clipping is the most common cause of speaker failure. When your amplifier is clipping, it's really outputting a high-level DC voltage straight into the speaker, which can burn out the speaker drivers' voice coils almost instantly. Take the sensitivity rating of the speaker, which is expressed in decibels (dB) at 1 watt/1 meter. If it's listed as an in-room or half-space spec, use that number. If it's an anechoic spec (like the ones found in some actual speaker measurements) add +3 dB. The number you have now will tell you roughly how loud the speaker will play in your listening chair with a 1-watt audio signal. What we want to get to is the amount of power required to hit at least 102 dB, which is about as loud as most people ever want to enjoy. How loud is that? Ever been in a really loud movie theater? A properly calibrated theater running at reference level will give you about 105 dB per channel. That's very loud — louder than most people want to listen to — which is why theaters rarely play movies at volumes that high. So 102 dB makes for a good target. Here's the key fact you need to know: To get that extra +3 dB of volume, you need to double the amp power. So if you have a speaker with an in-room sensitivity of 88 dB at 1 watt, then 2 watts will get you 91 dB, 4 watts will get you 94 dB, and so on. Simply count up from there: 8 watts gets you 97 dB, 16 watts gets you 100 dB, and 32 watts gets you 103 dB. So what you'll need is an amplifier capable of delivering 32 watts. Of course, no one makes a 32-watt amp, but a 40- or 50-watt receiver or amplifier should do fine. If the amp or receiver you want puts out, say, 100 watts, don't worry about it. Remember, at average listening levels with typical speakers, any amp is putting out only about 1 watt, anyway.